Welcome to the elegant Cascades Health Spa & Fitness Club, located at the bright, chic modern Whitewater Hotel. The views and surroundings provide the perfect Lake District, countryside location where you can relax, unwind and truly indulge. In the vibrant Cascades Spa, we offer the finest beauty treatments. 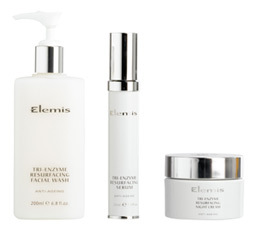 There are a wide range of glamourous Elemis products and Elemis facials to feel truly pampered and recharged! The Spa has a wonderful Rasul mud temple. This lavish Arabian steam room is an ancient way of really looking after and replenishing tired skin. Enjoy several muds to feel totally revitalized. Different muds are applied to various parts of the body which deep cleanse all the tissues in unison with the steam room. At the end of this magnificent cleansing therapy you will have a refreshing shower under the stars. This is the first Rasul in the Lakes. Don’t miss out on this truly divine unique experience and treatment. The Cascades Spa also has a stunning outdoor hot tub which overlooks the flowing River Leven. Enjoy scenic views and recharge your bodies, with these fabulous jets in the Cumbrian fresh air before retiring to the heavenly aromatherapy Turkish Haman. Enjoy exotic aromas and a detoxing, cleansing treatment in this fabulous spa installation. The Spa facilities also include Feature Shower, Sauna and Massaging pedicure chairs to ease those aching feet. Enjoy the back and neck massaging pedicure chair whilst receiving OPI treatment to leave with chic and stylish toe nails. The bright, elegant spa has four treatment rooms offering top of the range products and pamper treatments so is the ideal venue for group bookings, hen parties and corporate retreats! There is also a couple’s treatment room so you and your partner can enjoy being pampered together. If you are looking for pure indulgence and total relaxation, the Cascades Team can provide you with a haven where you will feel truly refreshed and invigorated. The Cascades Health Spa & Fitness Club truly is the ultimate rural retreat to escape from it all, so you can fully relax & unwind. Through innovation and constant evolution, Elemis’ goal is to constantly strive for new discoveries in therapeutic skin science. Elemis is a way of living and is embracing the ever-changing needs of today’s hectic lifestyles. The Elemis revolutionary approach to skincare combines a blend of medical-grade plant Marine actives, nurturing Milk Proteins and clinically proven skin-compatible bases for therapeutic products with serious results. This introductory facial provides a quick and instant pick-me-up for any occasion. Suitable for both men and women. These superior face treatments are further enhanced by luxurious hand, arm and scalp massage sequences for the ultimate in scientific skin-therapy. For remineralised, rebalanced and renewed skin… Bursting with anti-oxidant rich minerals and vitamins, this purifying treatment helps remove damaging toxins, regenerate skin cells and rebalance sebum. This includes a Cleanse, Tone, Exfoliate and Moisturise. If you have not had a tint with us before, please pop in for a quick tint test at least 24 hours before your treatment to make sure you don’t suffer any adverse reaction. This lavish Arabian steam room is an ancient way of really looking after and replenishing tired skin. Apply several muds and feel totally revitalized. Special types of mud that are specific for different parts of the body are applied to the various skin areas. The muds work in unison with the steaming effects once you enter the Rasul steam room. At the end of this magnificent cleansing therapy you will have a refreshing shower under the stars. This is the first Rasul in the Lakes. Don’t miss out on this truly heavenly experience. Your therapist will prepare the finest rasul muds for you to take into your seated temple, leaving you to lavish mud over the face and body. The temple gradually warms, drying the mud and drawing out the toxins from the skin. Essential Oil infused steam then gently fills the temple to soften the mud prior to the tropical monsoon shower being gently dispensed from the ceiling to wash away the mud. Once you emerge from the Rasul Temple, continue your relaxation by enjoying our Thermal Suite spa circuit including outdoor hot-tub, Turkish Hamam steam room and experience shower. Remember to bring your swimwear and flip flops. Your therapist will prepare the finest rasul muds for you to take into your seated temple, leaving you to lavish mud over the face and body. The temple gradually warms, drying the mud and drawing out the toxins from the skin. Essential Oil infused steam then gently fills the temple to soften the mud prior to the tropical monsoon shower being gently dispensed from the ceiling to wash away the mud. From ancient techniques to modern day advances, choose from an array of massage therapies to feel truly refreshed, revitalised and pampered. This extraordinary, relaxing therapeutic treatment uses the power of hot volcanic basalt stones to penetrate warmth and pressure deep along the muscles, boosting the circulation and releasing stored tension. Take a walk in an English rose garden with this lavishly hydrating body massage. The unique trio of Rose, Camelina and Poppy seed oils leave skin exquisitely moisturised, intensely supple and delicately scented. A body exfoliation ritual to invigorate and revitalise. After light body brushing, warm oil is dripped luxuriously over the body before the sublime Elemis Exotic Lime & Ginger Salt Glow is applied. Skin is deeply cleansed and moisturised, leaving it glowing and vibrant, replenished and flawless. A powerful blend of massage and detoxifying clay for targeted toning and tightening on hips, thighs, abdomen and backs of arms. Clinically proven* to reduce the appearance of cellulite after just one treatment. *Independent Clinical Trials. Mothers-to-be are restored to optimum wellness. An intuitive and relaxing massage hydrates skin that is expanding to accommodate a growing baby. Our Spa is the only one in the lakes offering the new SKINNY TAN! The best-selling tanning innovation for gradual and natural tans. Smells like a coconut island breeze. Streak free natural looking tan. A perfect tan for a special occasion or holiday lasting up to approximately seven days. Releases built up tension from your face, head, back and neck. Aromatherapy back massage followed by a pressure point foot massage. An ancient holistic therapy to balance, relax and detoxify. We can work some serious magic on unloved hands and feet! These are thee hardest working parts of your body-so look after them! Top tip: removing old polish before you arrive will ensure your therapist can use the full treatment time to work her magic. Don’t forget to bring open toe shoes to wear after toe polish. Soothe, relax and indulge with the ultimate OPI ProSpa Pamper Manicure. The crème de la crème of manicures, you will benefit from unparalleled exfoliation, moisture & protection, while revelling in a combination of massage techniques and acupressure designed to reduce stress and relieve tension. File and preparation of your cuticles and nails followed by any OPI Gel colour of your choice. Please note! Under 18’s are not prohibited to have any spa treatments or to use our upstairs facilities. Sorry for any inconvenience this may cause. We reserve the right to charge for any treatments which are cancelled at less than 24 hours notice. All information is subject to revision without notice.